Remain: cancel the whole thing and stay in the EU. May Deal: go ahead with Brexit on the terms negotiated by prime minister Theresa May. No Deal: exit the EU with no deal at all in place. Remain is preferred to the May Deal. 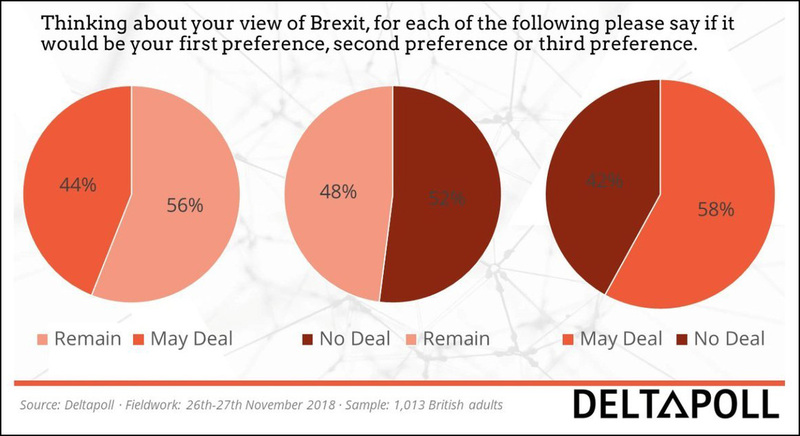 But No Deal is preferred to Remain. This is an example of a hoary old political science result: namely that preferences are not transitive. Even if you prefer A to B, and B to C, you might still prefer C to A. However, real-life examples of this are hard to find, and textbooks often have to resort to obviously clunky, made-up examples. But this one is real! Textbook authors everywhere will be eternally grateful to the British public for this.